Andres Muschietti"s It (2017) has its first trailer attached to the highly anticipated Stephen King adaptation and the remake of the previous It (1990) TV mini-series. This trailer begins with where it all began, Georgie and his little paper boat sailing into the storm drain where we glimpse Pennywise the Clown. 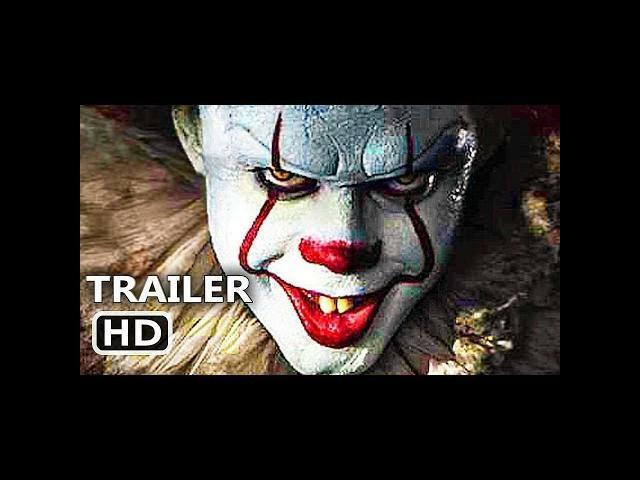 In the previous film, the highlights were when Pennywise showed up but from this trailer, Pennywise still steals the show, but the scares are scattered throughout the movie more evenly. Warner Bros. Pictures and New Line Cinema did a fantastic job with this film that will release in movie theaters on September 8, 2017. Bill Skarsgard, Finn Wolfhard, Javier Botet star in It.